loriamay.blogspot.com: Interview & Poetry in The Smoking Poet! I’m honored to be featured in the Winter issue of The Smoking Poet. Zinta Aistars, the founder and editor-in-chief of TSP chatted with me about so many writerly things (ideas and creativity, teaching, editing, the lit community, etc) and shares this really in-depth interview with me here. Down on the Corner, Public Display of Affection, and Triangular Distortions. TSP was also kind enough to reprint Zinta's recent review of stains: early poems to accompany the interview. 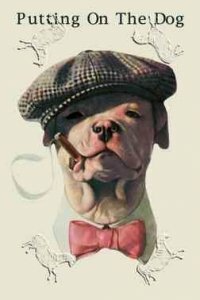 Be sure to check out The Smoking Poet for a full and fantastic winter issue that also features a great interview with Dorianne Laux, an abundance of poetry, fiction, and nonfiction, and detailed info about the upcoming TSP 5th anniversary reading: Puttin’ on the Dog. Thanks to Zinta for an enjoyable interview! My pleasure, Lori. Thank you for talking to us at TSP!